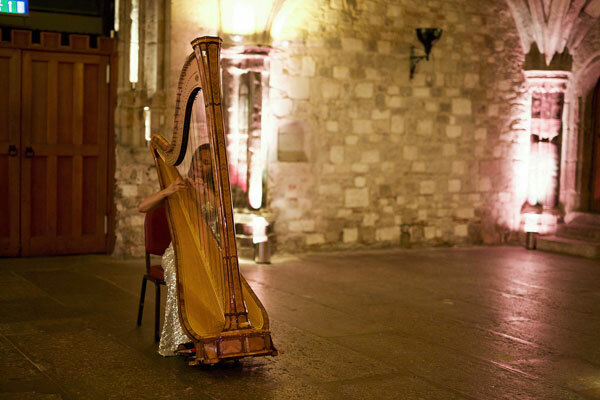 Looking for a wedding harpist in London or the home counties? 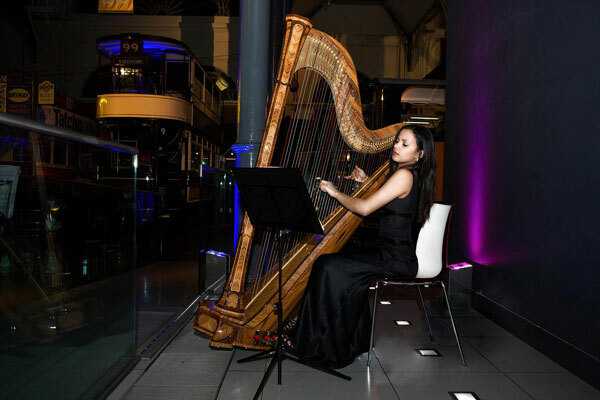 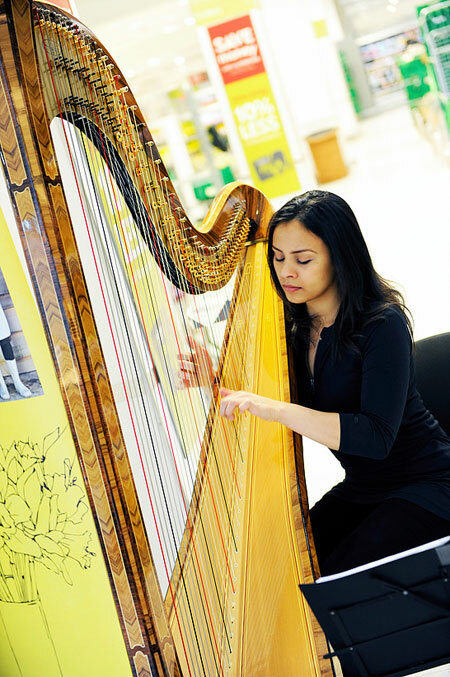 This wedding harpist has a diverse repertoire including a huge selection of classical, popular and Bollywood music and specialises in music for weddings. 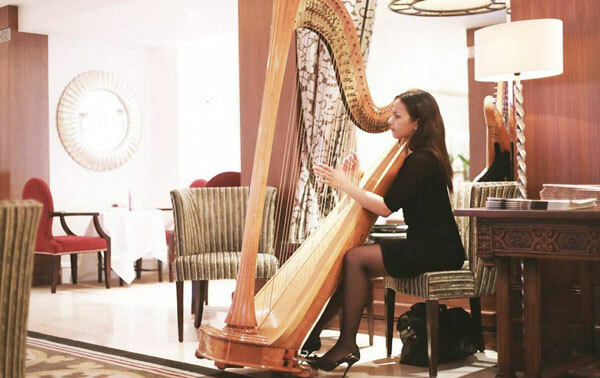 This young harpist began studying the harp at the age of twelve under the tutelage of renowned harpist, Daphne Boden FRCM HonRAM ARCM Premier Prix Brussels Royal Conservatoire. 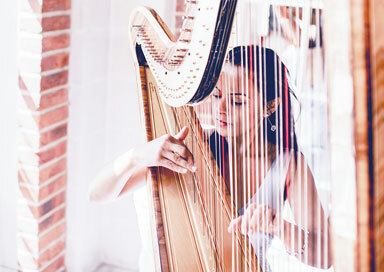 Within two years she was accepted, with scholarship, to the prestigious Purcell School of Music. 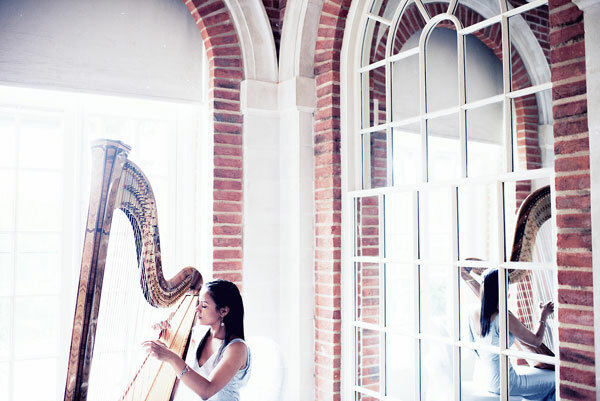 Following that she was accepted, with Foundation Scholarship, to continue her studies at the Royal College of Music under the guidance of yet another harpist of great renown, Ieuan Jones DipRCM, FRCM. 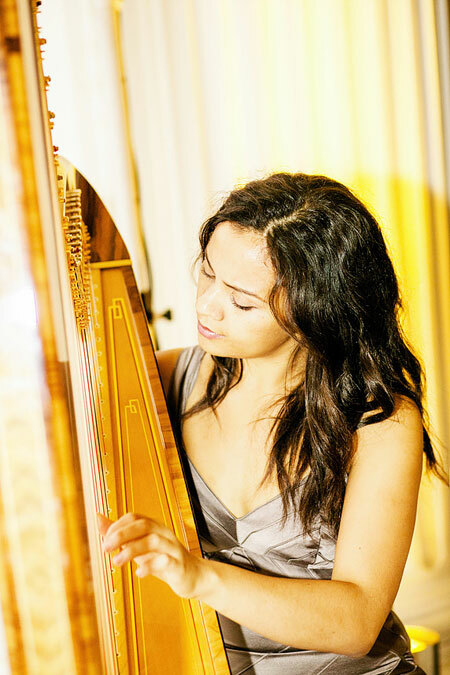 Aside from solo performance, she has toured and performed with various orchestras both inland and abroad. 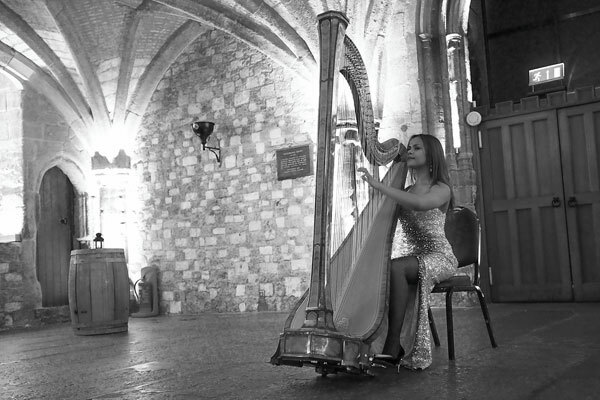 She is also an event harpist and frequently performs at weddings, parties, product launches, award ceremonies, corporate and private events with regular performances for members of the British royal family and international royal families - HM The Queen, HRH Prince Charles, HRH Prince William, HRH Prince Phillip, and HRH Catharine, Duchess of Cambridge are amongst the names which have been included in her royal audiences. 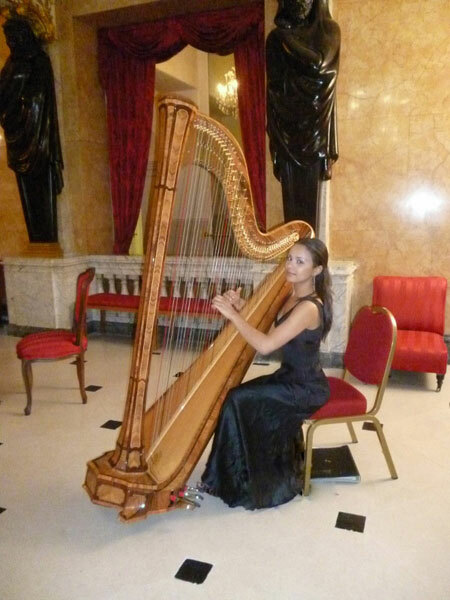 Buckingham Palace, The Royal Albert Hall, Grosvenor House, The Barbican, The Gherkin (Swiss Re), St. Pauls Cathedral, Syon Park, Windsor Palace, The Ritz, The Baftas, The Savoy, Westminster Abbey, Wigmore Hall, City Hall, Oslo Opera House, Sotheby’s Bond St., RAF Halton, Tiffany’s Bond St., Selfridges Oxford St., Harrods, The Rudulfinum, Queen Elizabeth Hall, JP Morgan, The Dorchester, Blenheim Palace, The Houses of Parliament, Wellington Arch, St. John’s, Smith Square, The Tower of London, Tate Britain, The Exhibition Centre London, Kensington Palace, The Shard, The Old Bailey, Tower Bridge Walkways, Hampton Court Palace, Eltham Palace, The National Gallery, V&A Museum, The Banqueting House, and the Olympic Village (2012 Olympics). 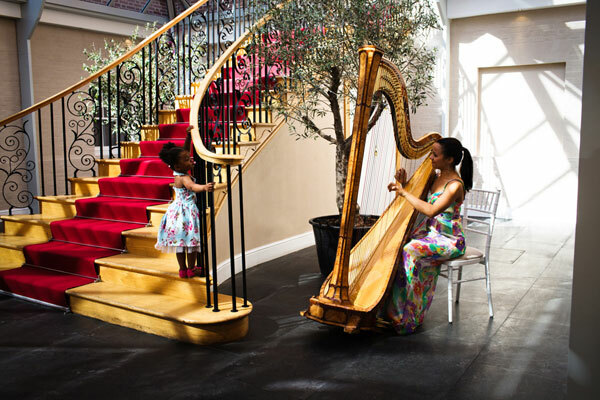 Her television appearances include performing with Dizzee Rascal and Florence and the Machine for the 2010 Brit Awards Ceremony held at Earls Court, and BBC 1’s ‘Oxford Street Revealed’ coverage of St. David’s Day 2015.